Appearing on The Daily Show Monday night, Health and Human Services Secretary Kathleen Sebelius faced a friendly pro-health reform host in Jon Stewart, but even he chided the country’s top Obamacare bureaucrat for the rocky start of Affordable Care Act, which has been riddled with computer glitches and crashes. Indeed, the rollout of the first major piece of the health care law has been a mess, which might have created an opening for Republicans who oppose it to argue that the Obama Administration foisted a relatively unpopular law on America and bungled its implementation. But the law’s problematic start is competing with news about the government shutdown that Americans largely blame on Republicans. This is undoubtedly a relief to Sebelius and the Administration, who have have declined to disclose how many Americans have been able to sign up for new Obamacare-compliant health insurance. 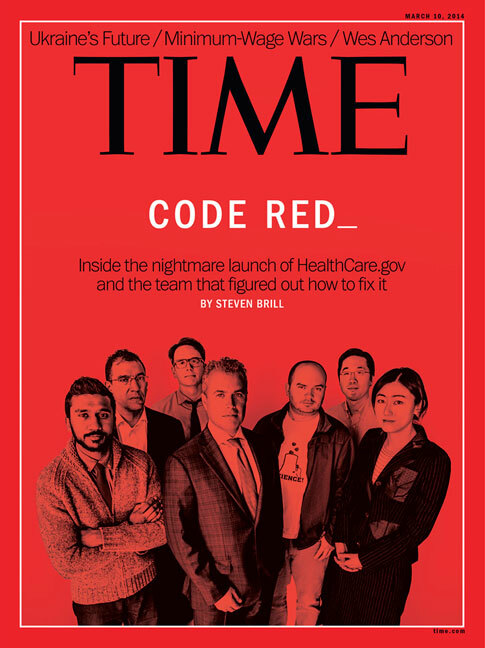 As Time explained in a story in this week’s magazine, the exchanges that launched Oct. 1 depend on young, healthy people signing up for new insurance to subsidize the cost of insuring older sicker Americans. Whether they will buy in depends on many factors, including the price and quality of the insurance plans offered. Some participation, though, might also depend on ease of use. How many young people are hearing about the exchanges and visiting accompanying web sites this week, but then checking out from the process as soon as they hit error screens? Sebelius pointed out on Monday that uninsured Americans have until mid-December to sign up for coverage than begins Jan. 1. “The good news is you don’t have to buy it today,” she told Stewart. But if, a month from now, it’s still incredibly difficult to sign up for health insurance through a state exchange web site or healthcare.gov, that could affect the balance of the nation’s insurance pool and signal that President Obama’s signature domestic policy achievement may fail to function as promised. “It started a little rockier than we would like,” Sebelius told Stewart.